Fields & Associates, Inc. (F&A) was founded in 1996 by Richard A. Fields, M.D., who serves as its president, chief executive officer and senior consultant. 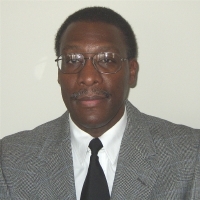 Dr. Fields is a former hospital CEO and nationally recognized multi-board certified psychiatrist with almost 40 years of leadership, treatment and consultation experience across the public, private and military sectors of the mental health field. Dr. Fields is the only psychiatrist ever to have actively surveyed for the Centers for Medicare and Medicaid Services (CMS) and The Joint Commission (TJC) concurrently for seven years. His experience includes 14 years as superintendent at one of the busiest state psychiatric hospitals in the country (more than 6,000 admissions per year at a 365-bed facility). He also has experience as a medical director in a variety of settings including a state psychiatric hospital, an inpatient treatment facility for mentally ill felons, a comprehensive community mental health center and a major metropolitan jail. Dr. Fields has long recognized that it is difficult to find quality improvement and compliance information that is specifically relevant to behavioral healthcare organizations. For this reason he has been developing a unique online resource to house and share such information among organization leaders and those responsible for quality/performance improvement, standards compliance and survey readiness. The forum is called the State & Psychiatric Hospital Compliance Collaborative (SPHCC) and Dr. Fields serves as its executive director.